If you love gaming then you could play games for prizes. Many websites will award you with gifts which can be spontaneous and at random or could be awarded to the highest scorer per day or week. Others like Wordlinx offer cash payments for playing games or completing their offers in their Rewards section.These include Pudding Land, Animal Link, Tip Tap and Hover Jump. These range from card classics like solitaire, boards like backgammon and chess, puzzles like sudoku and arcade classics like pacman. Some have specially commissioned ones, with new ones released regularly to keep you entertained and challenged. For example there are many new Deal or no Deal ones which are just like being on the show. There is an example of this at our www.borntoloaf.co.uk site. Other play free games for prizes websites will allow you to collect points which are awarded at depending on how long you have been doing it for or when you reach a certain level. Bonus points are often awarded randomly. These are collected over a set time and can be redeemed. Others will award the top point scorers. Do watch out for those that clear the score board after a set time, which can be weekly or monthly. Other play games and earn points for prizes websites will give you entries into their competitions. So for example each time you score 100 points you will get 1 entry into a draw competition of your choice. These can range from cash, chocolates, holidays, weekend breaks, DVDs, etc. These have less entries so your odds of winning are much higher. They take a while to do so many professional competition entrants will be put off doing these. But if you love them then you are at an advantage - you get the fun and challenge with the bonus of competition entries and the possibilities of winning. There are some free online games for cash prizes sites that do attract more contestants since some offer even higher cash jackpots. Typical costs range from 5p through to 50p, depending on the jackpot value. These are more fun because you get immediate notification that you have won. This adds more excitement. It is more common to have to pay to play instant win games. This can be worth considering as a bit of fun and if you can afford to loose any money. These are designed to earn the website money and you will not always win. More reputable sites will have a payout from 70% throughout to 90% but these are rare. 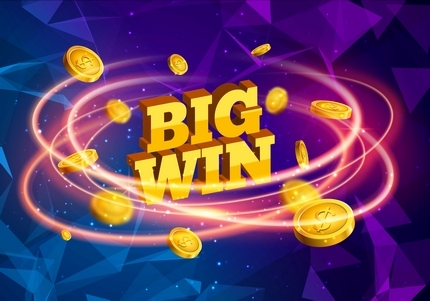 For every person who does win a large amount such as £1000 or £10000 there will be thousands who do not and have funded the winner and the provider. Anything you win is yours to keep and there is no need to pay out any money or continue.